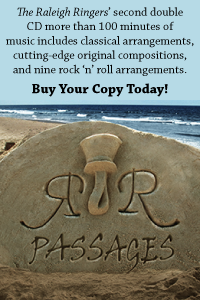 Share the News – Baseball & Bells! 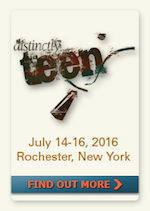 As I write this article, I am reflecting on the year of ringing in Area 9 – the joy that has been shared and that has grown through the year through the art of handbells. 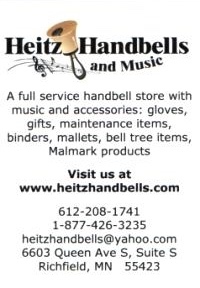 Handbell ringing is alive and well in our area! Let me share a few highlights. 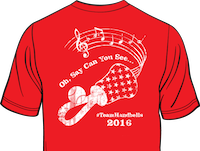 We are excited to reveal the t-shirt design that can be purchased only for Oh, Say You Can Be…Ringers, family members, and friends can show their handbell love at the August 13, 2016, game as more than one hundred ringers join together to ring the national anthem on the field of Globe Life Park in Arlington, TX. 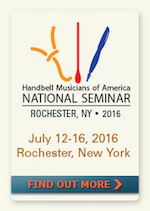 A major goal for Handbell Musicians of America in 2016 is a complete new look for the national website. They are starting with an updated version of the pages dedicated to Handbell Musician Certification. 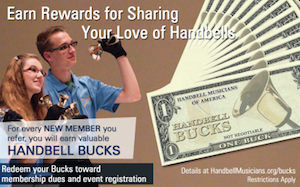 Visit certification.handbellmusicians.org today to see updated information on the program as well as opportunities coming up in the next 8 weeks to complete certification courses. 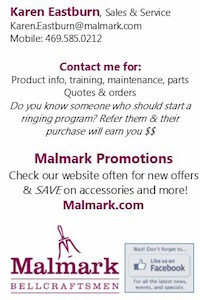 Plus – get a glimpse of the new design elements that will be applied to all pages of their website in the months to come.